In this issue of Setting the Example we focus on the question of whether a company’s ethics are strong enough to keep it on the right side of the cost-benefit divide, we explore the importance of ethical confidence for growth in Africa, and we outline three trends that can generate a return on integrity. We share our methodology about what needs to be done to recover from a breach of ethics effectively, and have included a comment on the erratic treatment of whistleblowers. IS YOUR COMPANY’S ETHICS STRONG ENOUGH TO KEEP YOU ON THE RIGHT SIDE OF THE COST-BENEFIT DIVIDE? Much as ethics is the “right thing to do”, it is nonetheless true that being ethical can incur a cost for the organisation. The challenge this poses is whether the benefits of being ethical are outweighed by the costs of being ethical, or not. A breach of ethics can occur even in the most ethical organisation. How the organisation deals with the incident is clearly important, not least because it can either stabilise and retain the organisation’s ethical reputation or undermine it. Our guidelines of how to deal with ethical failure (below) will go a long way to getting back on track. But there is a scenario where this is much more difficult. 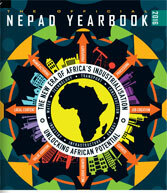 Cynthia Schoeman’s article, published in the 2016 NEPAD Yearbook, recognises that sustained growth for African countries rests heavily on the country’s ability to attract foreign investors – and to do this successfully, they must been seen to be ethical. Sound ethics and good governance are certainly not the only factors that can promote economic growth, but they are especially noteworthy because they represent the crucial foundation factors. In the absence of a sense of security about ethics (and all that being ethical implies), investors are likely to look at lower risk opportunities. Ethics Monitoring & Management Services was started by Cynthia Schoeman to help organisations to improve ethics in the workplace and to encourage them to manage ethics proactively. Cynthia developed The Ethics Monitor, a web-based ethics survey, which enables organisations to measure, monitor and report on their ethical status. Ethics Monitoring & Management Services also offers ethics talks, workshop, consulting and training.